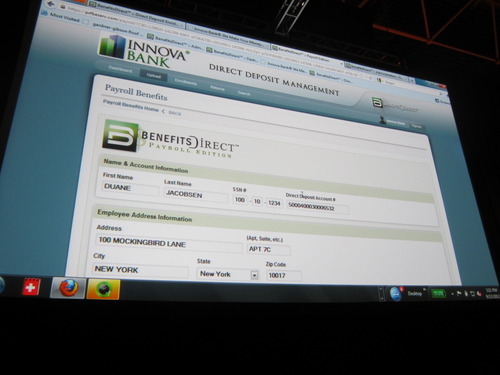 We’re excited to announce the demo videos from FinovateFall 2012 are now available for your viewing enjoyment. If you missed out on the NYC conference this year, this is your chance to see the newest fintech innovations from the 64 cutting-edge companies that were on stage. 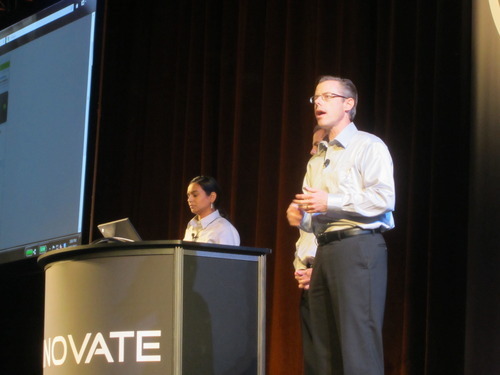 The videos are part of the Finovate Archives, where you can watch (for free) every demo of new technology since our first conference in the fall of 2007. It’s an inspiring place to hang out online for a couple of hours. If these videos have made you hungry for more, tickets for FinovateAsia 2012 (November 6th in Singapore) are on sale at the early-bird rate for a few more days. Our inaugural Asia conference is shaping up quite well with over 50 new attendees added to the audience in the last week. They’re coming from leading organizations like ANZ, Hitachi, ING, OCBC, SAP, UBS, and Thomson Reuters. We’ll see you in Singapore in November or NYC again next fall! 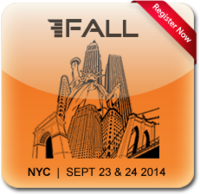 We wrapped up FinovateFall in New York City about a week ago. 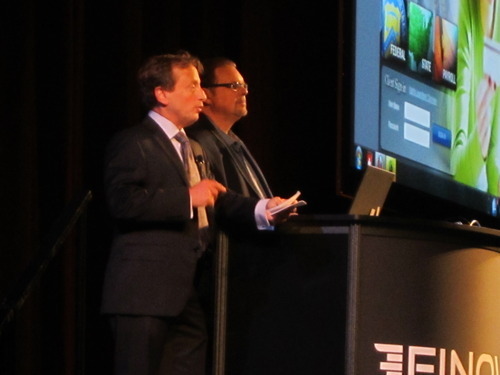 Over the course of two days, 64 companies gave 7-minute demos to an audience of around 1,100. 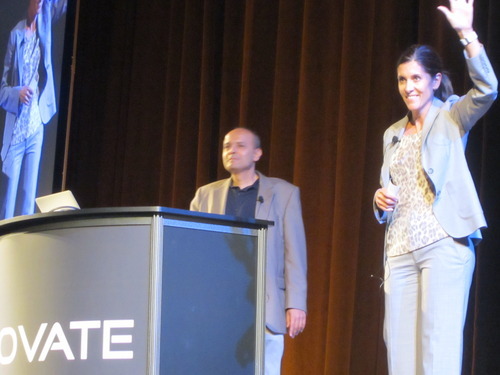 We’ve summarized the information and presented it in our latest Finovate Report, Fall Edition. This post-show wrapup is designed to help those that weren’t there get a better understanding of the major themes. And for those who were in attendance, it’s a box score to compare with your own notes and impressions. Truaxis demoing how statement rewards can improve ROI. 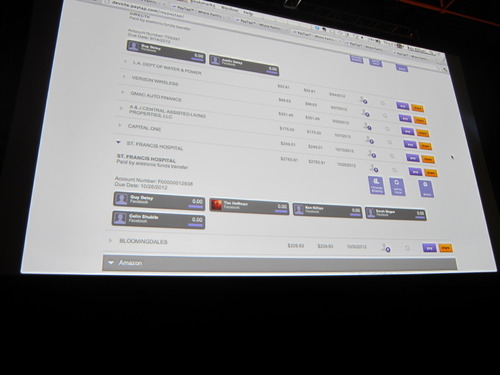 Ideon showing how customers can build custom savings plan with CDs, indexed products, etc. 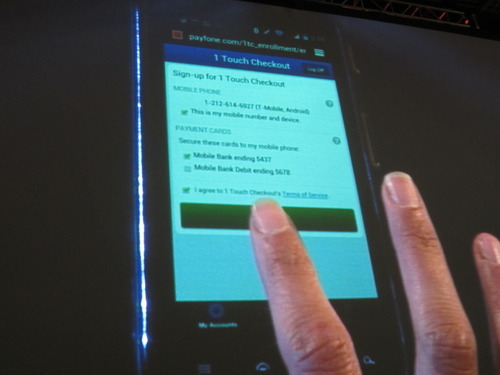 Fiserv demoing speech recognition for complete billpay process on mobile app and the payment was made live! 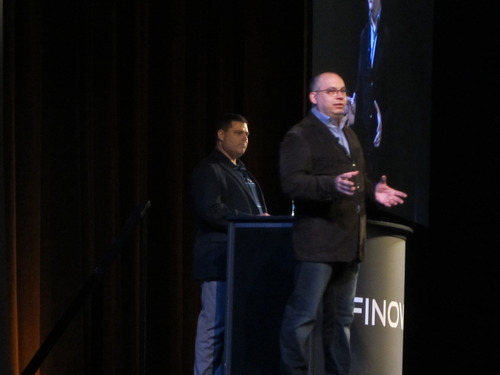 Our fifth annual FinovateFall in NYC concluded a one hour ago. After seeing 64 demos over two packed days, the audience voted for their three favorites each day. The top eight overall were named Best of Show (see notes). “All of us have done it – asked or given help to family & friends to pay a bill. It’s hard to ask and difficult to quickly respond. PayTap allows people to do what they currently do every day but online and with significant advantages. 1. Dramatically reduces the cost of moving money and takes a major step out of the process by having the funds go directly to the billing company (AT&T). 2. Takes advantage of existing social networking (increases reach and speed). 3. 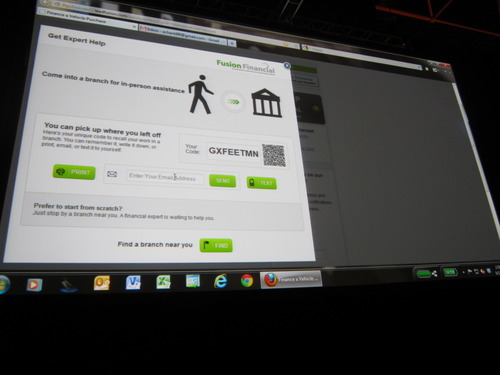 Gives visibility to all parties involved and allows them to keep track (who has paid) and avoids costly late fees. “Leadfusion’s new Cross Channel Selling solution unites the online and offline experiences for consumers who are evaluating financial products, while also delivering powerful selling tools to retail branch personnel. Metrics: Leadfusion is privately held with over $5M in annual revenue, more than 250 customers and 1.2M visitors hosted per month.